MIYU means “beauty within you” and it’s Amway’s number 1 Korean 3-Step skincare brand that offers the same (if not better) results as the other popular Korean product lines minus the complicated 5-8 steps. The brand marks its first year anniversary here in the Philippines with a K-Party last Friday at the Amway Philippines office in Makati City. It was my first time at an Amway Office but I have known about this direct selling company for a long time – I have used their products in the past and I am so into the Nutrilite health brand. According their latest report, Amway global is now a USD 8.8 Billlion company and is the number 1 direct selling business in the world. Based in Ada, Michigan they are widely known for their Nutrilite vitamin, mineral and dietary supplements, Artistry skincare and color cosmetics as well as their eSpring water treatment systems. 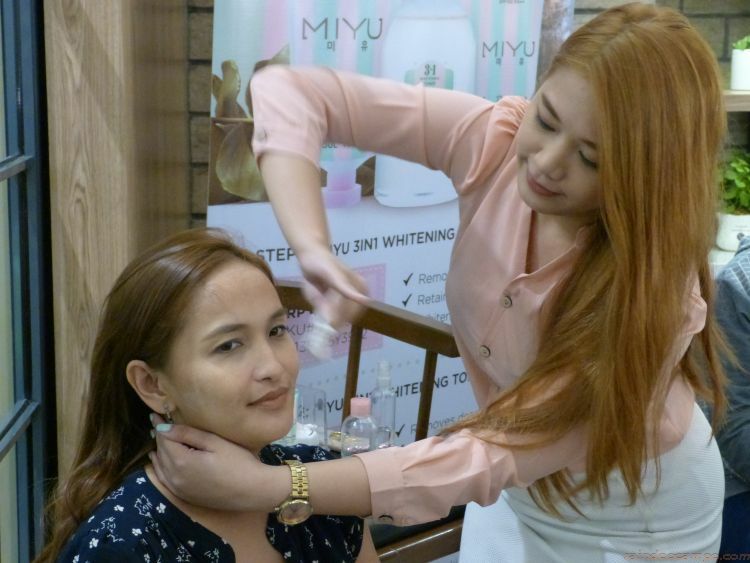 MIYU is their latest brand innovation which was launched in the Philippines just last year and has proven to be a hit among young people. Known globally as one of the leaders in botanical research, Amway has applied its knowledge of plant extracts, and their specific benefits, to truly set MIYU apart, even among already famously good Korean skin care products. An active ingredient of MIYU is buckwheat extract which is proven to provide protection against the harmful rays of the sun, prevent premature aging, and make skin look fairer while nourishing it to its deepest layer. It is also known to be a powerful antioxidant and anti-inflammatory agent that revitalizes and brightens skin. MIYU’s Pore Me Down Toner contains Chaga Mushrooms that helps decrease excessive sebum production and tightens pores. Present during the event is MIYU brand ambassador Krestle Deomampo who flew in from Davao to co-host the K-Party event.